LIMA — At least nine people have died and dozens more became ill after eating contaminated food at a funeral in the Peruvian Andes, authorities said on Tuesday. 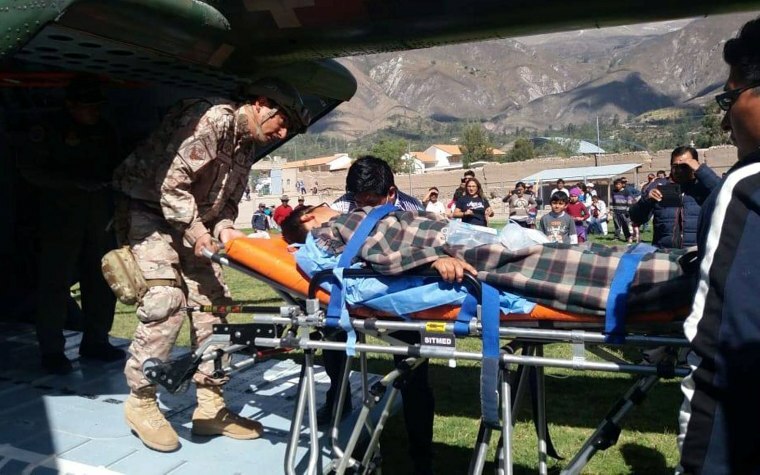 Health officials said that a total of 50 people were affected and 20 of those were hospitalized with stomach pains and vomiting after a wake the previous day in the Ayacucho region of south-central Peru. Regional health director Jhon Tinco told a local radio station that the victims reported eating a meat dish and consuming a drink of fermented corn called Chicha. The food appeared to have contained organophosphates, a family of chemicals used in pesticides, Health Minister Silvia Pessah said on local broadcaster RPP. Prosecutors have taken samples of food and beverages served at the funeral for testing, the attorney general’s office said in a statement. Earlier, Peru's civil defense agency, Indeci, tweeted that 10 had died, but the tweet was later removed. Pessah said there have been two incidents of organophosphate poisoning in the same region in recent months. In 2013, 23 Indian school children died after eating food contaminated with the pesticide monocrotophos, a substance that belongs to the organophosphate family.